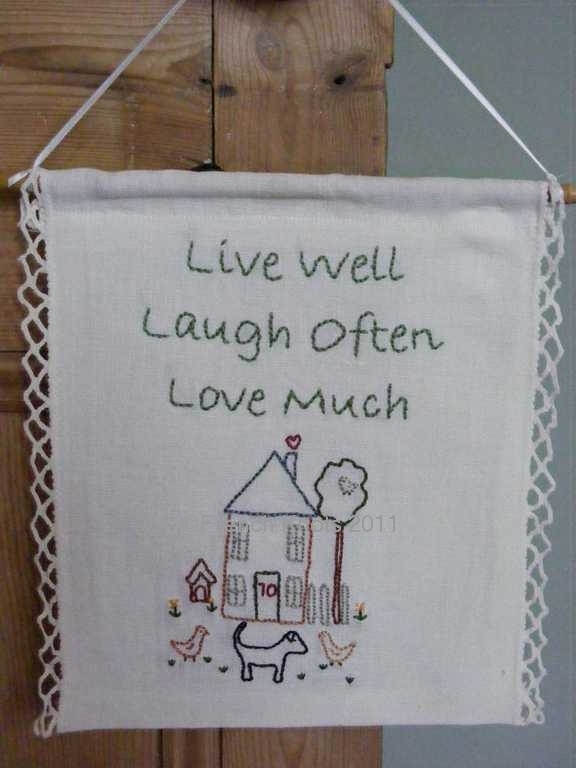 A hand embroidered banner, designed by me in my little studio to commemorate a special event. The design can be personalised with a cat instead of the dog or by changing the number on the front door for example. The backing fabric and decoration will vary as I use recycled and preloved fabrics but they will always be lovely. Please get in touch to discuss the special touches that will make it personal to you.